And business listened. 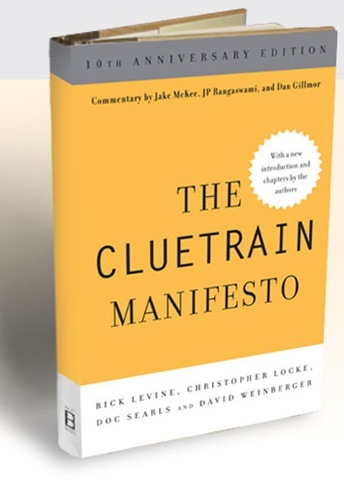 But ten years after Cluetrain’s original publication, too many companies are still ignoring the idea that their markets are really made up of peopleâ€”and the book’s message remains more relevant than ever. Companies may be wired for business, but they still struggle with how to talk to their customers like human beings. This entry was posted in Theoblogical and tagged blogging, Church, Cluetrain, Social Networking by Theoblogical. Bookmark the permalink.